Verifavia, the world's leading emissions verification company for the transport sector (aviation and shipping), today has signed a cooperation agreement with WALLEM Ship Management in Hong Kong and ZEABORN Ship Management in Hamburg (for the consolidation of ER Schiffahrt and Rickmers Ship Management), for auditing services for European Union (EU) Reporting and Verification (MRV) and the International Maritime Organization (IMO) Data Collection System (DCS), as well as certification of associated IT systems. 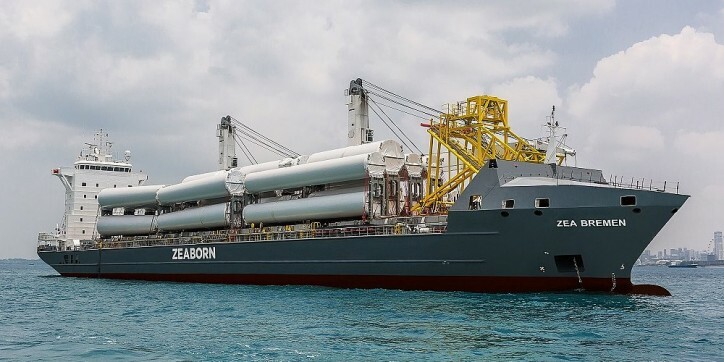 Through their agreement with ZEABORN Ship Management, Verifavia Shipping will provide EUV verification services as well as the status of their flag. It will also be certified by ZEABORN Ship Management for these regulations. For WALLEM, Verifavia will also provide verification services for EU MRV and IMO DCS across a number of its Liberia and Panama flagged vessels, and Vertex SMMS. IMO DCS and EU MRV verification services, Verifavia leverages its existing in-depth knowledge, expertise, and understanding of these regulations the field of data management. In addition, many owners and operators are more likely than others to have recourse to a third party. It is also a way to diversify the suppliers and limit the extent of the monopoly of IACS members. Julien Dufour, CEO, Verifavia Shipping, who believes there is a common and unhelpful misconception that data must be submitted to the verifier in a certain format, commented: "A key drive for both these organizations has the ability to work with a verifier that offers maximum flexibility, the flexibility and the flexibility of the standard format, or more complex used formats in IT systems for monitoring vessel performance. He added: "We are extremely proud to be working with Both WALLEM and ZEABORN Ship Management, and believe That this is our expertise, but also our genuinely differentiated approach to an independent emissions verifier. , streamlining reporting and verification process. " Verifavia Shipping remains committed to ensuring that shipowners and operators are able to achieve compliance with the DCS IMO and EU MRV regulations quickly, efficiently, and cost-effectively. With accreditation from the United Kingdom Accreditation Service (UKAS) and France's national accreditation body, Cofrac, Verifavia can assess or verify any ship in the world, regardless of country of ownership, State flag, or class. The company's client roster currently includes circa 180 shipping companies spanning 1,700 ships, and 30 ICT providers.